Officer Davis (Zone 2) commended us on still being one of the safest neighborhoods. Just type in your street name, city and state and click move your mouse to the red stick ups. This site is for informational purposes only, so keep that in mind when you look around on the site. A lot has happened over the last several months here in Polish Hill, with more to look forward to over the next year. 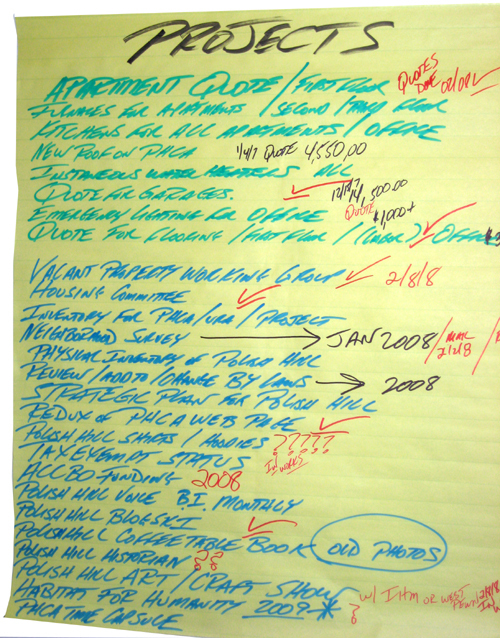 Anybody stopping by the Polish Hill Civic Association office can view Terry Doloughty’s To-do list. And of course you are all welcome to help out! In addition to the fun parties and special events that have livened Polish Hill over the last few months, PHCA has been moving forward with the serious business of renovating the building that houses the PHCA office. With the help of volunteers, the office now has a new floor and bathroom. The renovation of the first floor apartment is moving ahead quickly as well as some general maintenance on the building. PHCA has begun working with the Vacant Properties Working Group through members of our Housing Committee. 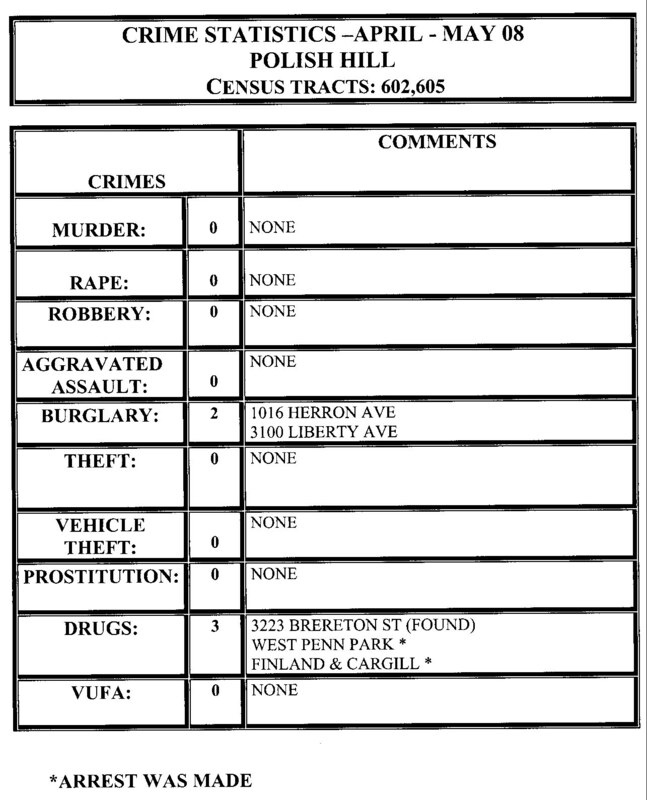 We have also been working on a list of abandoned properties in Polish Hill. If you are reading this, you know that we have launched BLOGSKI. We are in the final stages of launching the new PHCA site and we should be live soon. Coming up on April 26 is Rebuilding Day, hosted by the PHCA and Rebuilding Together Pittsburgh. This community event will include the repair of some homes in Polish Hill. Also, we will be distributing paint to our neighbors on April 26. And don’t forget to order flowers and tree seedling for spring gardening! Stay tuned. Better yet, come to the next meeting on April 1 at the West Penn Rec Center.